Solli Raphael is a 14-year-old Australian poet and budding humanitarian. He uses poetry to explore themes important to him, focusing in particular on the environment, inequality, and how we can be better agents for change within our communities. Solli has performed in many places around Australia, including for TEDx and in collaboration with Greenpeace Australia. He regularly visits schools and has appeared on national media including The Project (Channel 10) and radio national. 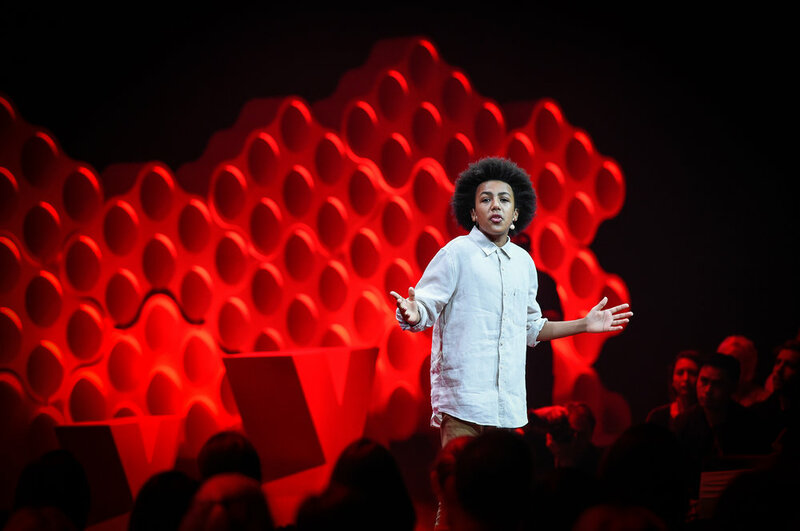 In 2017 he was the youngest winner of the National Australian Slam Poetry Finals at the Sydney Opera House, aged 12. Limelight, his first book, was published by Penguin Random House in Australia last year. Solli is an inspiring example of how children can engender hope and change the conversation about important issues facing society. He shows that age is no barrier to activism, to poetic expression and to speaking about global community issues. Solli recites his poem ‘We Can Be More’ in the video below. Solli’s personal web page can be accessed here.